Summer time is almost upon us, and for most of that means that we live in hope of sunny days and a little less rain so that we can get our little ones outside in the fresh air as much as possible (more fresh air=better sleepers at night time, right?!). The kids are pretty much obsessed with playing out in the garden, and have spent most of the winter and rainy spring asking if they can play outside - our garden isn't very big and it certainly isn't the prettiest of sights (I have absolutely zero interest in gardening!) but the kids love nothing more than riding around on their many ride ons or playing in their play house or water table. 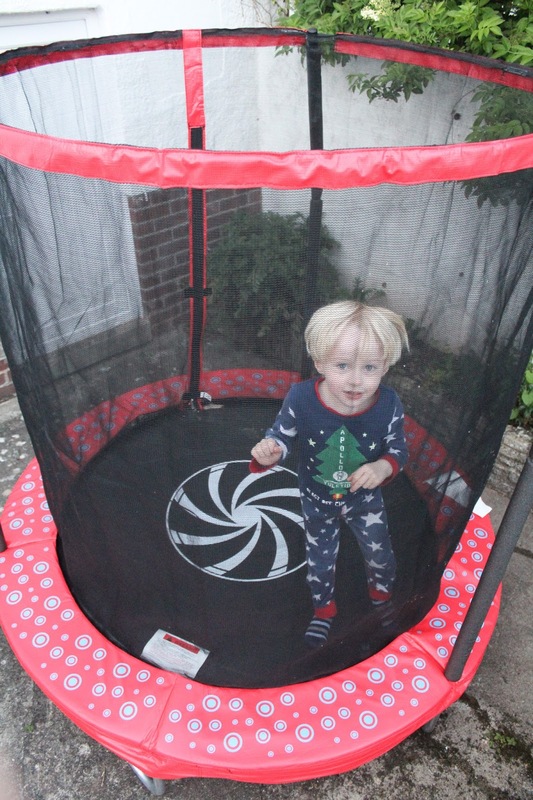 However, ever since last summer my 4 year old son Tyne has asked me over and over again if we can get a trampoline. His cousins have one in their back garden and he absolutely loves it, so it's something I'd been considering for a while - however due to the size of our garden, I just wasn't sure we'd be able to fit one in. 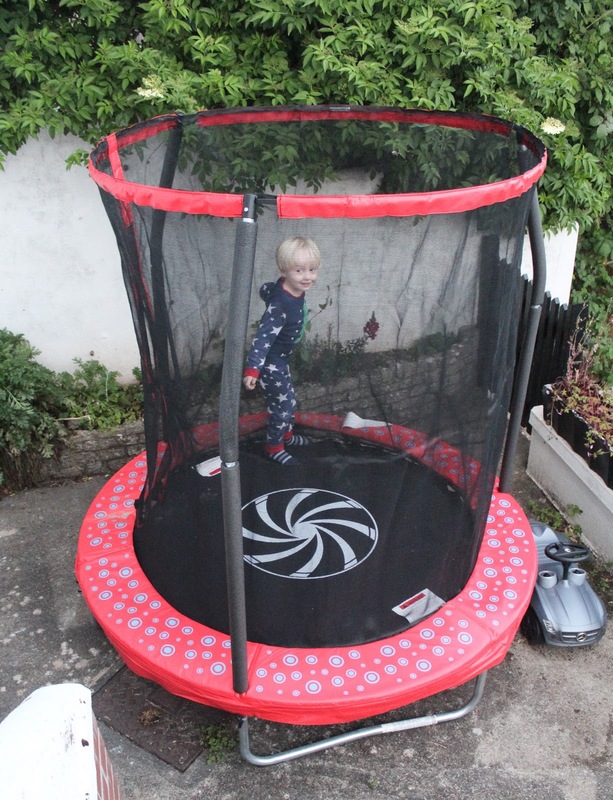 A few weeks ago, the lovely people at ELC asked if they could send us one of their 6 foot trampolines to try out. I knew that Tyne would be delighted so after a bit of measuring, we decided to give it a try. It arrived last week, and Jon set straight about assembling it in secret - we kept the boys away from the window and didn't tell them what Daddy was up to. They knew he was building a "surprise" but they didn't know what it was. It took around a hour and a half to assemble (on his own! ), but Jon said it was quite straight forward and the instructions were very easy to follow. And how did the boys react? You can see for yourself here! 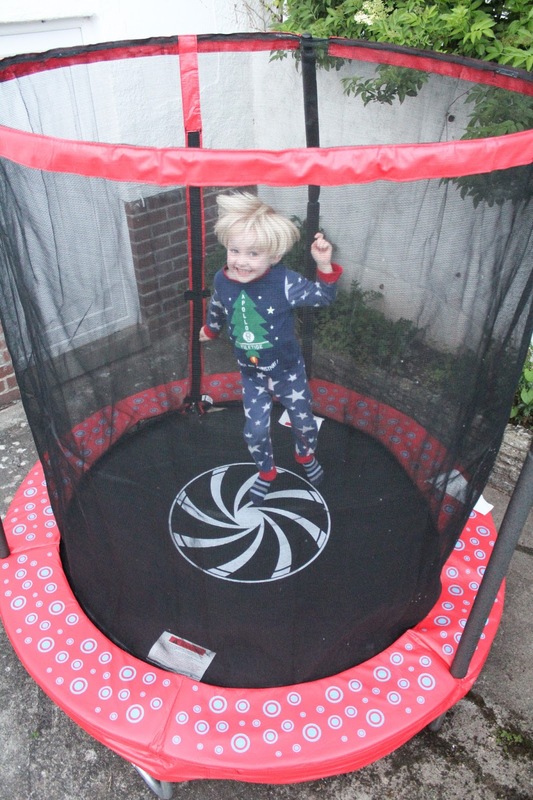 The trampoline has been a huge hit in our house, and I know it's going to be a key feature of our summer garden days! At 6 foot it really doesn't take up too much space at all, and it's the perfect size and height for little ones. The zip up enclosure gives me a lot of peace of mind too, no need to worry about them bouncing off!